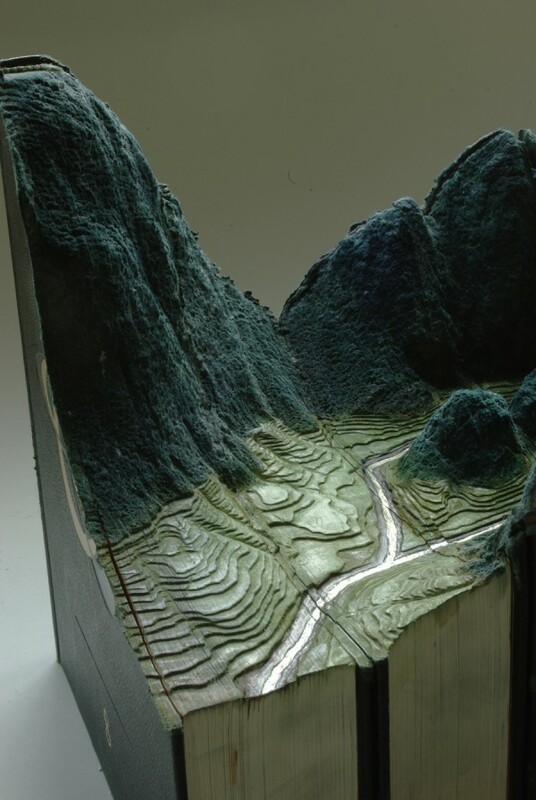 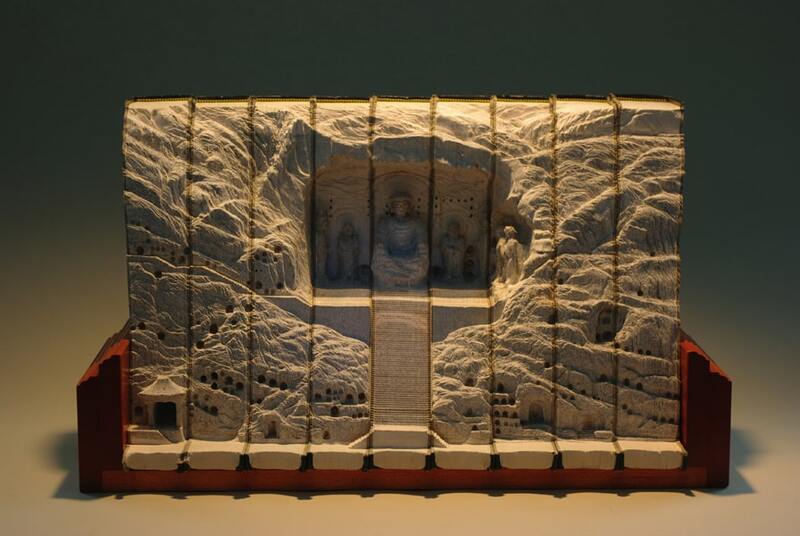 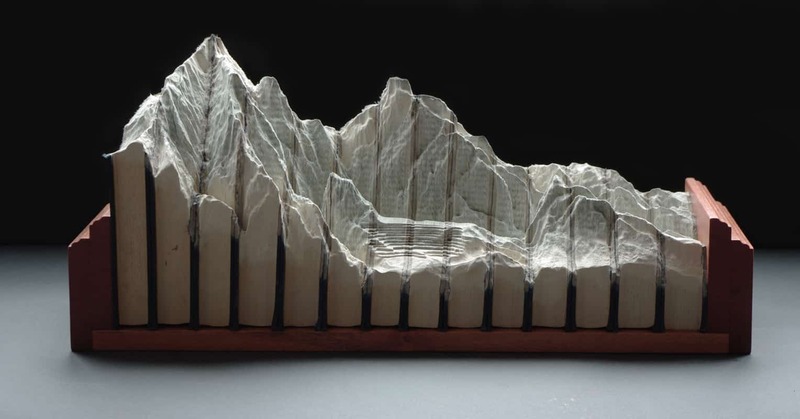 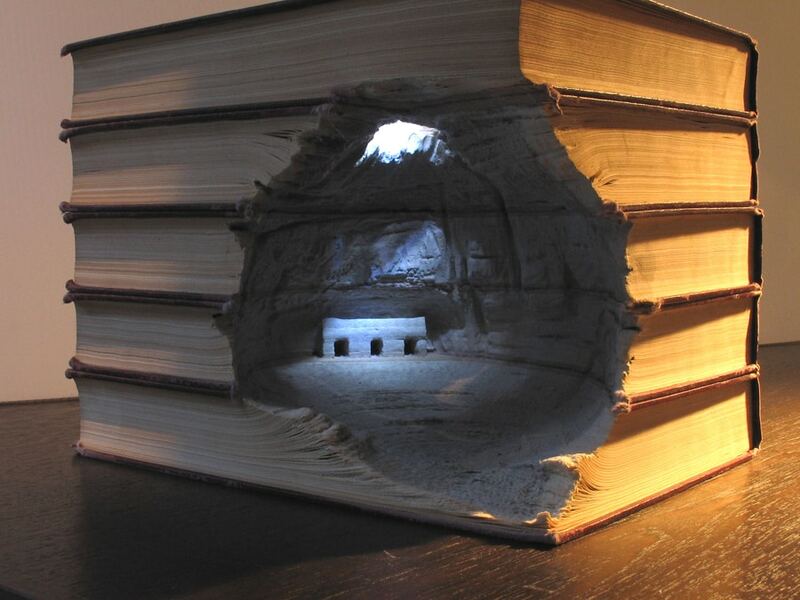 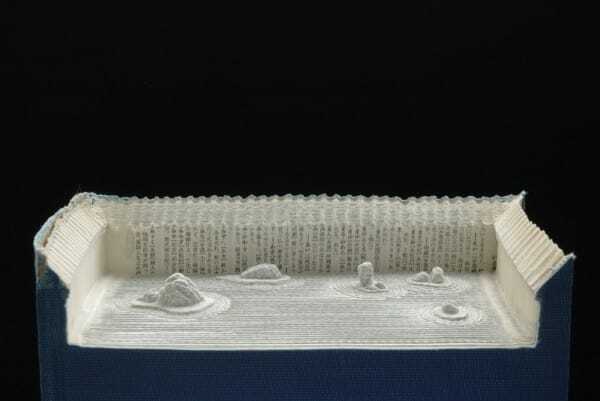 Artist Guy Laramee has sculptured an incredible series of carved landscapes made from books entitledÂ Biblios and The Great Wall. 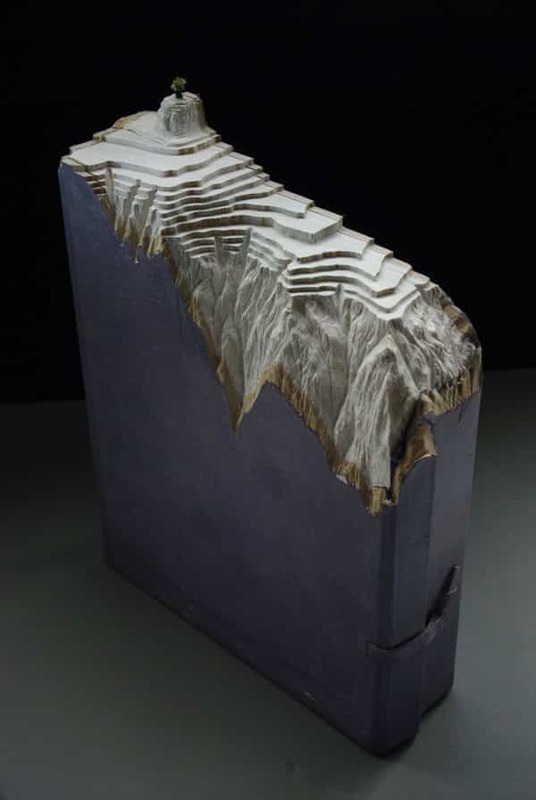 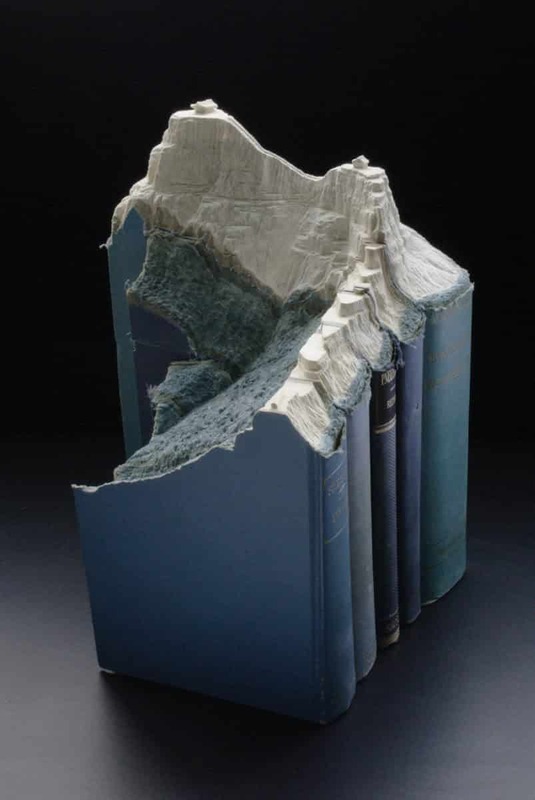 He has chosen old dense and thick books which to create these beautiful carved book landscapes to reveal breathtaking mountains,Â plateaus, and ancient structures. 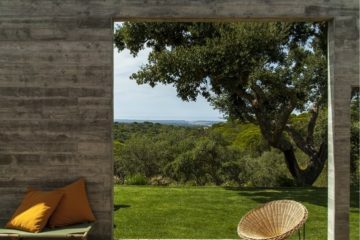 At first glance these landscapes took me by surprise, there in depth textures and elements look like the real thing. 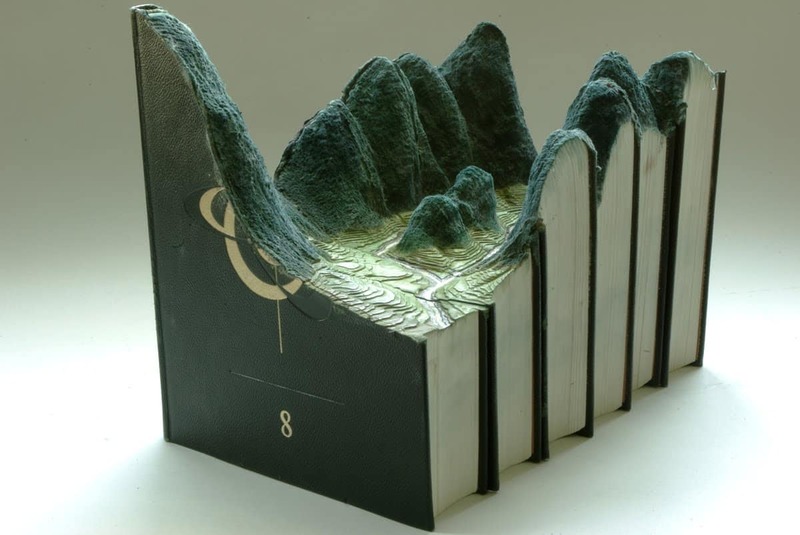 By stacking old books together with the carvings and colored landscapes,Â these book landscapes showcase wonderful character and elegance.